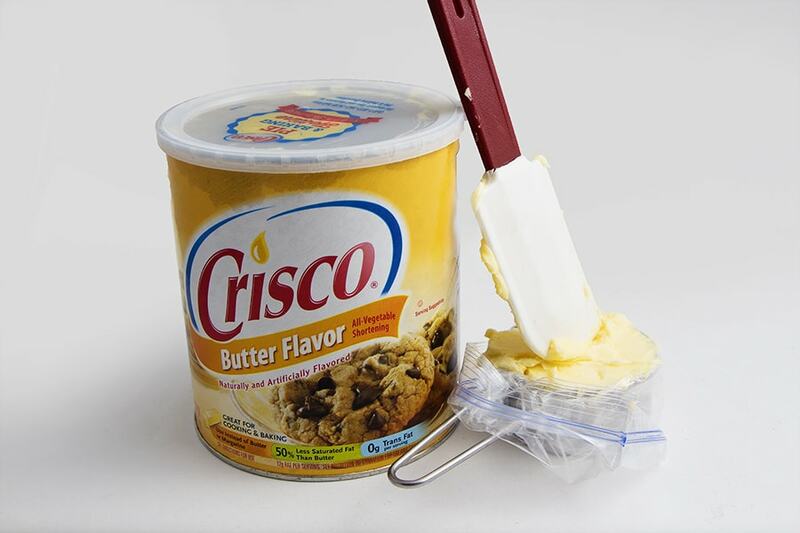 Measuring Crisco or any other sticky ingredients has always been a chore. It seems to find it’s way all over you and onto every surface. What a mess!! Look no further. 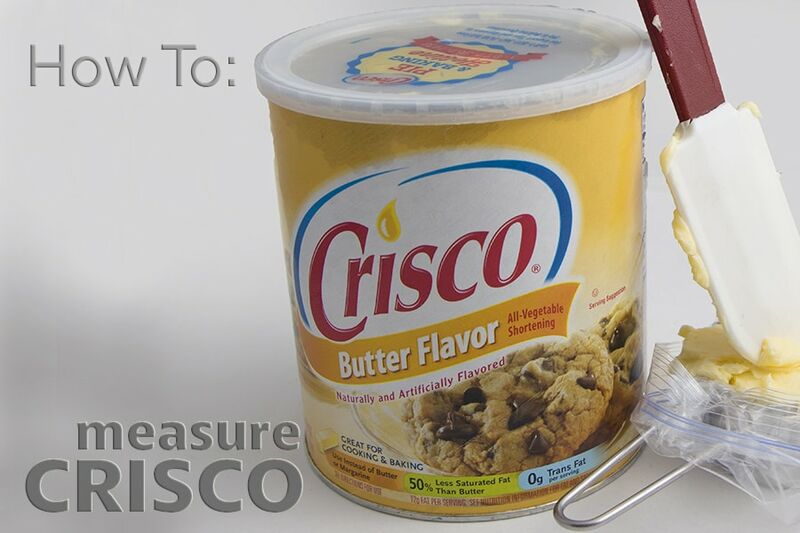 This “How To” measure Crisco is brilliant! It’s quick, fast and easy just the way I like them. 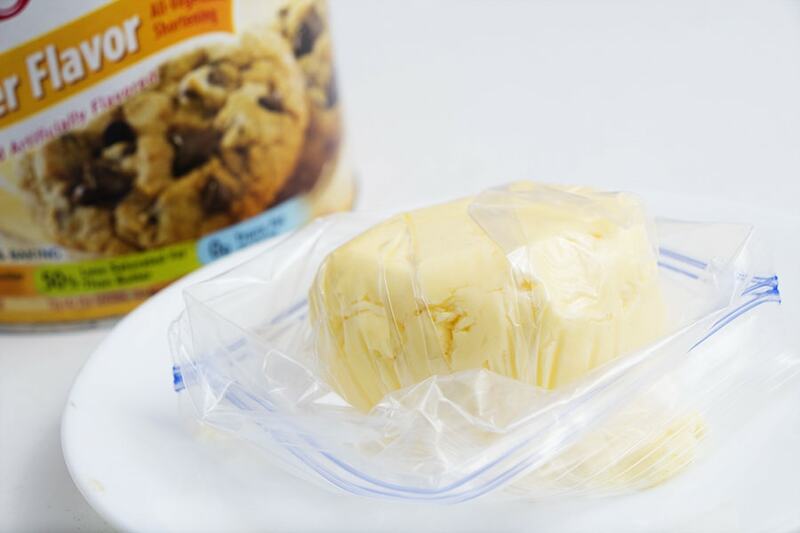 Step 1: Grab a ziplock bag before you measure your butter or Crisco. 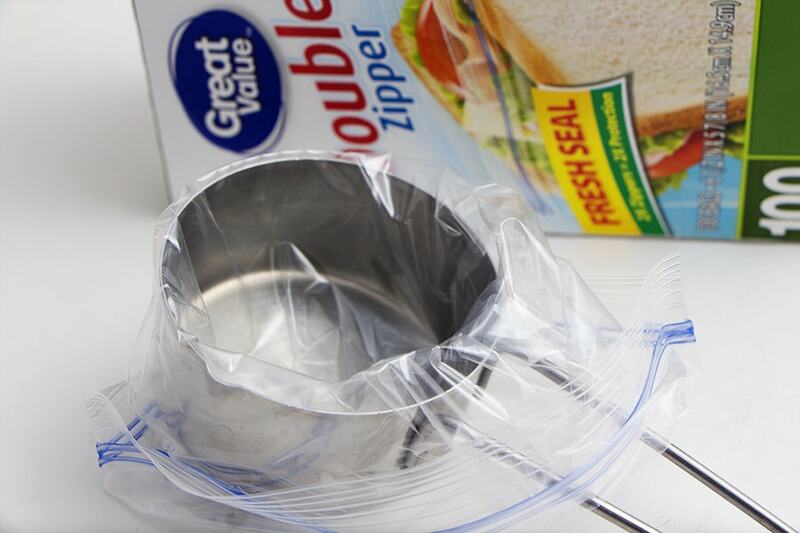 Or you can also use the Cling Plastic wrap too. Step 2: Line your measuring cup and then use a spatula to fill it up, making sure to press out the air bubbles so you have a solid shape. Step 3: Once you have filled to your measurement, flip the cup over and the Crisco pops out of the cup and is stuck to the plastic bag. Step 4: Remove the bag, and throw it away! 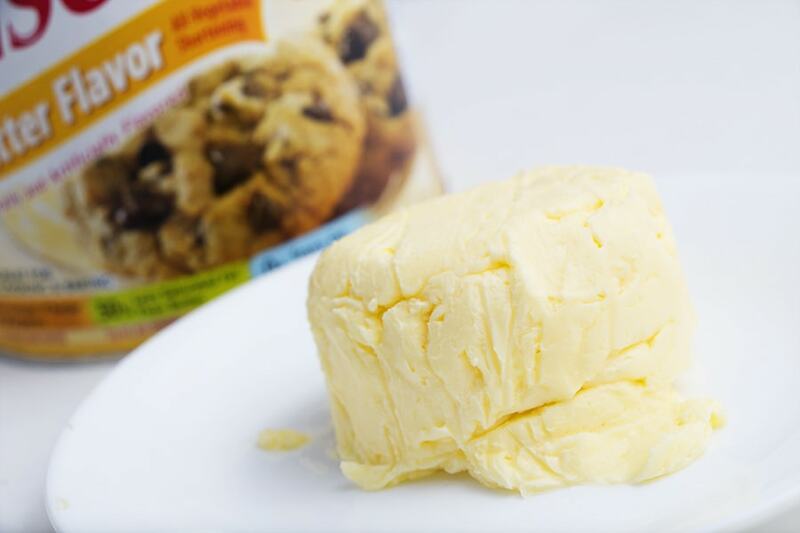 Your Crisco is perfectly measured without the mess. 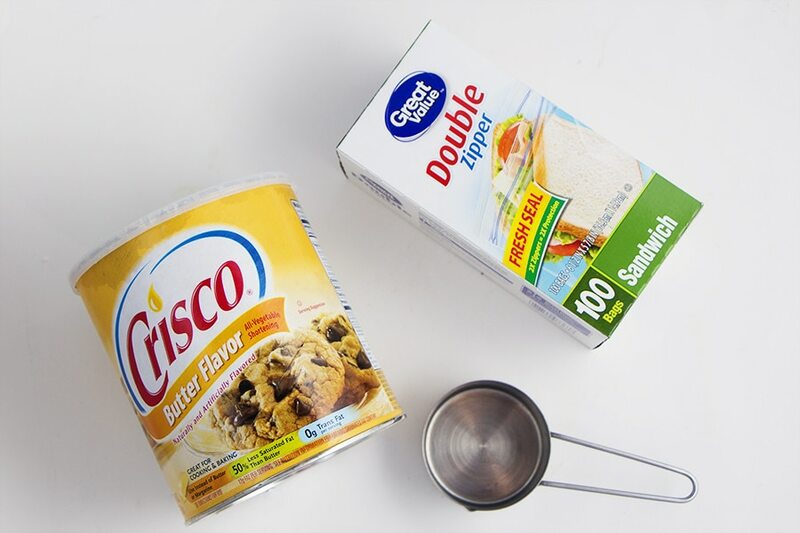 How To Measure Crisco and keep it clean works with other ingredients too. Try it out!